This OE7702 electric pasta boiler is unbeatable for high volume cooking of pasta and can also be used as a steamer or bain marie. 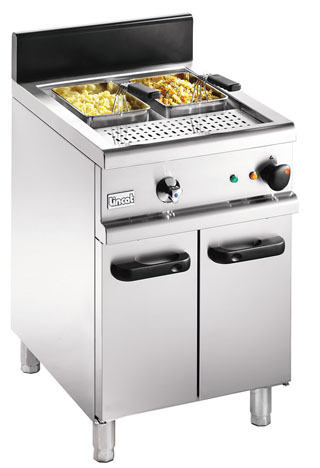 OPUS 700 specialist equipment also includes a counter top bain marie with boil-dry protection, and chip scuttle to keep chips hot, crisp and golden prior to serving. * We recommend operation on a three phase supply, where available. ** Typical dry weight capacities using OA7924 baskets.